Melaleuca CEO Frank VanderSloot with Jolene Hill and Dauphne Lords at Tuesday's annual employees' meeting. Melaleuca, Inc., paid out more than $1.6 million in bonuses Tuesday at its annual employee meeting, recognizing 150 longtime employees for their years of service. The company's loyalty and longevity bonus is available to all full- and part-time employees, regardless of position or pay level, and is simply based on length of service. The company pays $5,000 for five years, $10,000 for 10, $15,000 for 15, $33,361.55 ($20,000 net) for 20, $25,000 for 25 and $30,000 for 30 years. 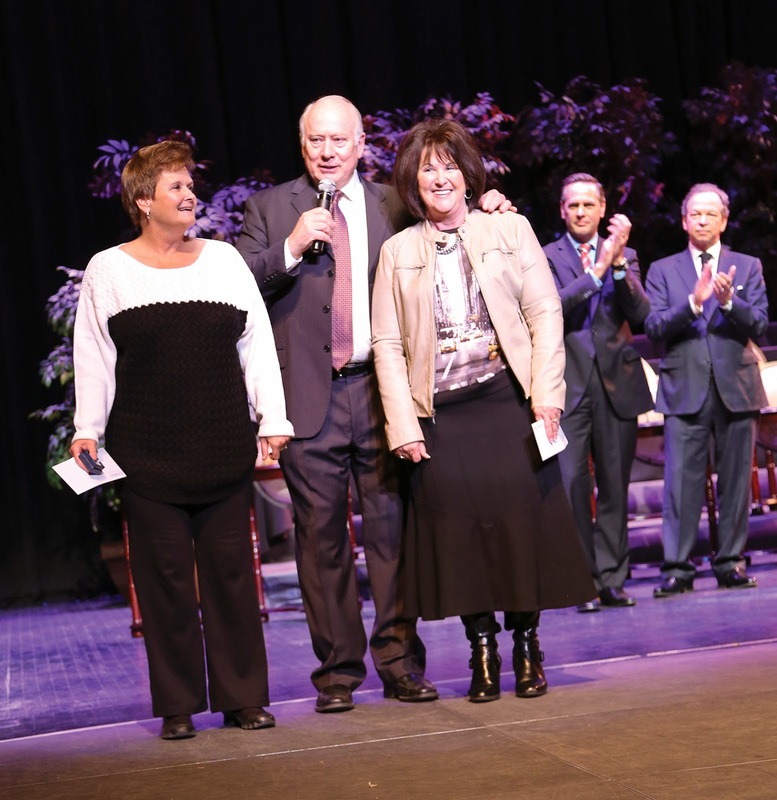 Jolene Hill, a product development operations manager, and Dauphne Lords, Idaho Falls store manager, each received $25,000 checks from Melaleuca CEO Frank VanderSloot at the event. Fourteen employees walked away with $20,000 net checks, and 16 employees picked up $15,000 checks. Melaleuca also presented$10,000 checks to 72 employees and $5,000 checks to 46 employees. "This check is a 'thank you' bonus for your hard work," VanderSloot told recipients. Before the meeting, VanderSloot encouraged employees receiving bonuses to think about planning for retirement. The company has created a program for a 30-year employee to have more than $1 million in the bank when they retire. All they need to do is invest the longevity bonuses, participate in the company's 401(k) matching program and achieve a modest rate of return. "I've always put money aside, even when I didn't have much to put away," Hill said. "In a couple of years I hope to retire, and these longevity bonuses will give me freedom to do so." Melaleuca pays its employees many types of incentives based on performance and productivity. In addition to the company's loyalty and long-term contribution bonus, Melaleuca offers many benefits that can be found on the Melaleuca jobs Web site.